Ruby and Jack are chef Matthew Crabbe’s grandparents name. 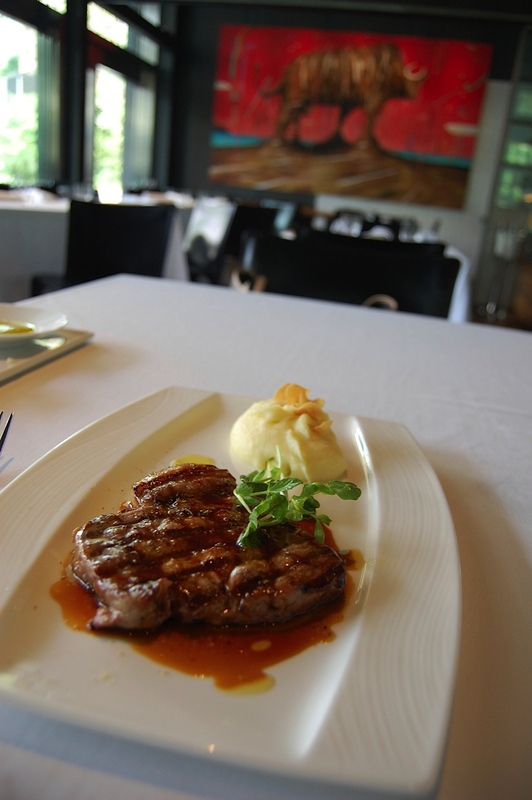 Ruby Jack’s Steakhouse is a great spot in the Ark Hills South Tower building. High ceilings, outdoor seating if you want on a spacious terrace. The interior feels very upscale with the white tablecloths, but it’s very friendly and without any attitude. Here is a tomato and blue cheese salad. 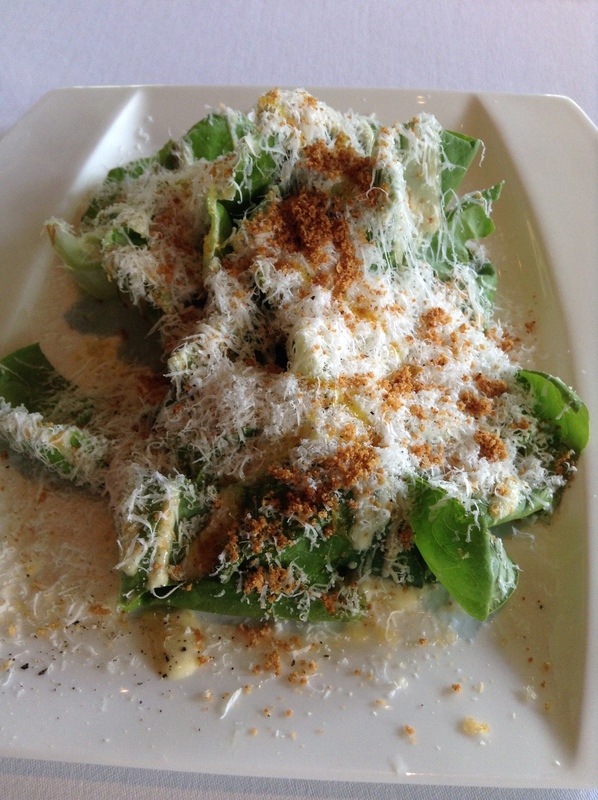 The Caesar salad is covered with a generous amount of cheese, which is a treat in Japan. While it is a steakhouse, I couldn’t resist the Japanese pork. A meaty portion that was just right for lunch. 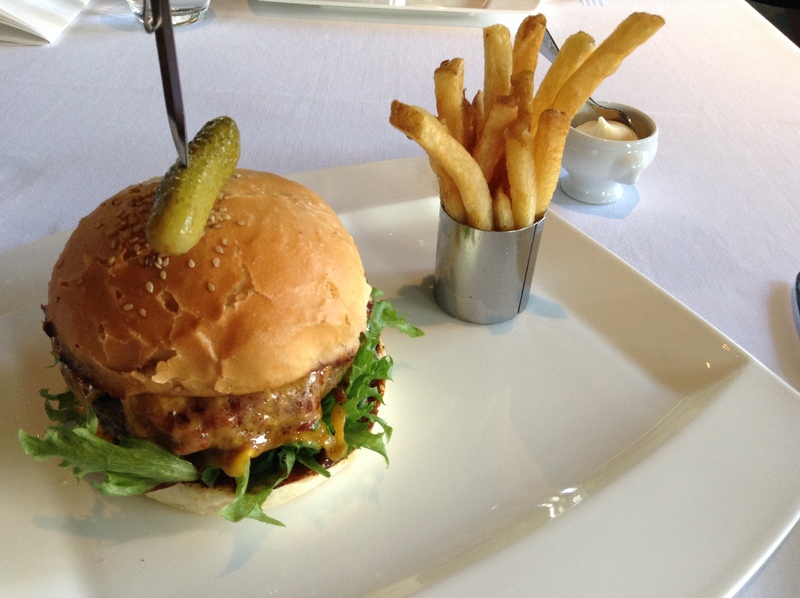 I had such a great meal that I went back right away as I wanted to try the burger and fries. It’s a messy burger, as they should be, and with a barbecue sauce. All of the lunch sets come with an appetizer and coffee or tea. Here is my review of Ruby Jack’s for Metropolis magazine. 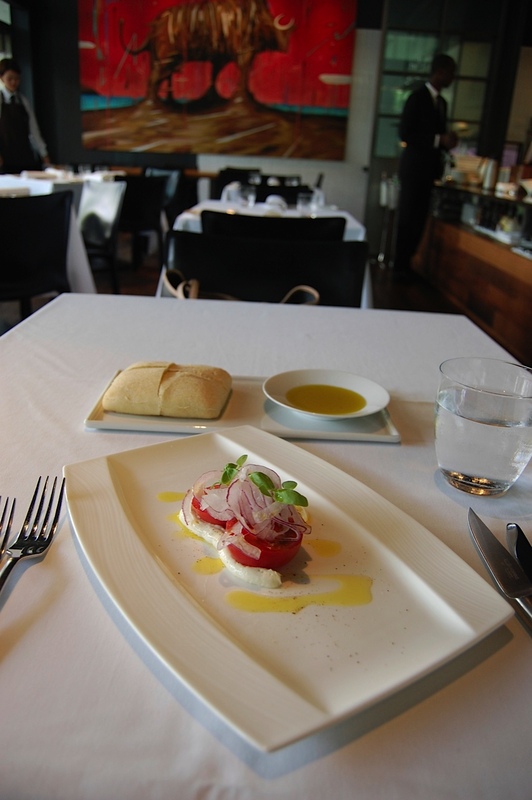 The wine list is rich and there are several selections under 10,000 JPY. At lunchtime the restaurant is kid-friendly and there is even a kid’s menu. Don’t bother coming if you are a vegetarian, or you may leave hungry. My only advice is to allow yourself some time to get lost in this area. There are many buildings in the Ark Hills complex and I have been lost here several times.